Children are fascinated by rocks. They enjoy digging in the ground and take pleasure in finding rocks of various types. 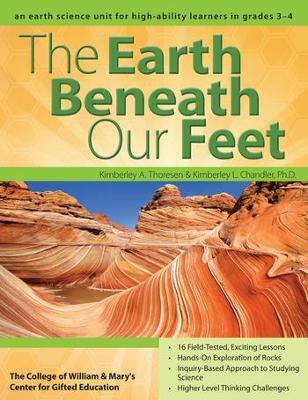 "The Earth Beneath Our Feet," an Earth science unit for high-ability third and fourth graders, builds on the excitement that students have by engaging them in hands-on scientific investigations about rocks. Students begin to explore and understand the major components of rocks, the rock cycle, and the important uses of rocks. The unit works to expand the students' content knowledge by including information about weathering and the impact that various natural and man-made processes have on the ground they walk on.